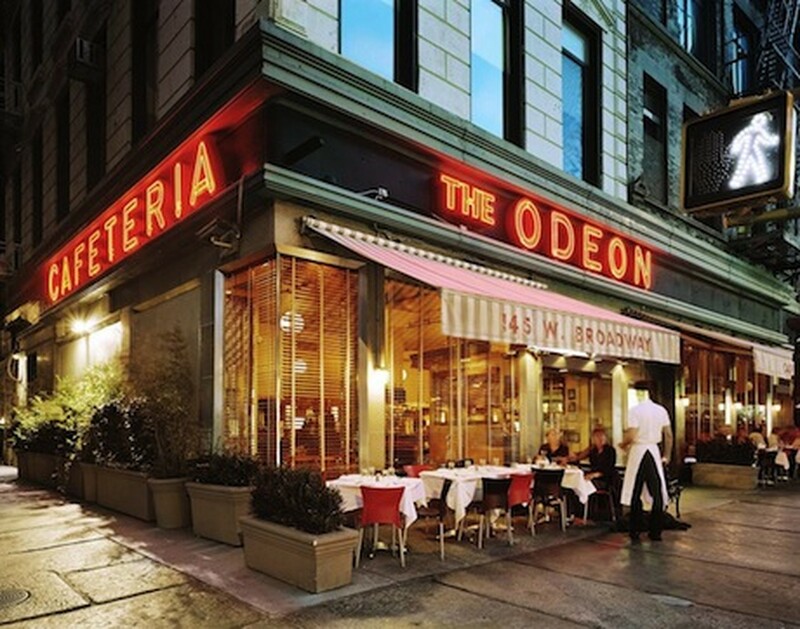 The Odeon is a New York City classic. This restaurant has been around since 1980, long before these Tribeca streets became lined with Vespas and well-dressed children. We weren't around back in those days, so we're not going to be the ones to give you a detailed history of the place. But if you're looking for a really good read that will definitely make your meal at The Odeon more interesting, take in all six pages of this Vanity Fair article before dinner. Let's just say...we missed all the good stuff. As for the current state of affairs at The Odeon, it's still a beloved fixture of the neighborhood. It may not be the same downtown destination that it was thirty years ago, but they still serve very respectable bistro food and stiff drinks, and brunch is always reliable. But there's really nothing on this menu that's going to blow your mind. As a matter of fact, I suspect that this restaurant probably never served particularly spectacular food, but traded more on the currency of having Andy Warhol and John Belushi amongst their list of notable regulars. I guess when those people are hanging around your restaurant, all you really need to serve is a good plate of fries, and maybe some good drugs. Not that we'd know anything about that. These days in Tribeca, you're more likely to stumble into a Patagonia store than you are a good time. At least The Odeon is still around to remind us of what we missed. A classic frisée salad, done right. We're always surprised at how bad people manage to screw these things up - so often they're over-dressed and soggy. But not here. This salad is exactly what it's supposed to be, though we will say that it's pretty small for the $15 price tag. Fresh salmon, freshly ground. This is a nice option for people who don't get down on steak tartare, but are craving some other kind of animal dip. This one is a fan-favorite these days at The Odeon, and that's probably a really good indication of how times have changed. I can't say I can imagine John Belushi cramming a tuna burger down his throat with a side of whiskey. But it is pretty damn tasty. The classic French sandwich with ham, Gruyère cheese, and mornay sauce. Put an egg on it to make it female, and also better. The best of the steak options at The Odeon. You want this instead of the NY Strip Steak Frites. Just be sure to order a side of fries with it.